1. A STEM game can be easy to assemble and DIY, and you can make hundreds of 3D geometric patterns with it. 2. It is full of creativity, exquisiteness, brightness, glossiness and combination that can make you focus back on the origin. 3. It can help adults relieve stress and fidget, kill the boring time and relax your mind, as well as develop patience, intelligence and thinking skills. 4. It frees up your imagination and stimulates your inspiration. 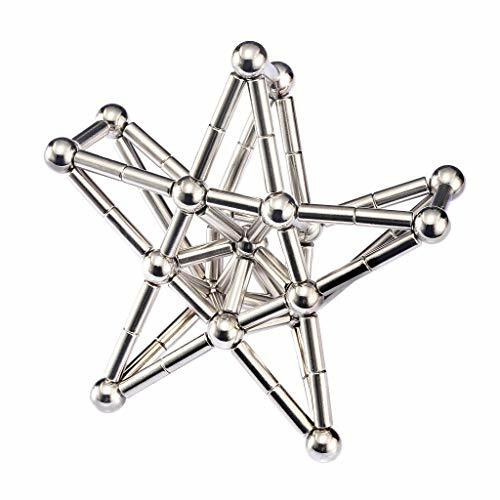 You can instantiate your imagination and inspiration through this magnetic stick and ball, and enjoy the sense of achievement by creating a variety of artworks. 5. Keep away from all children under 14 years old, For use under adult supervision.